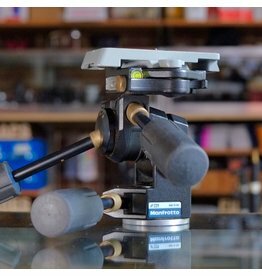 Manfrotto 234 tilt head with 1/4" threaded camera fitting. 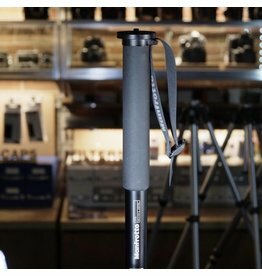 This low-profile tilt head is ideal for monopods, but you can do whatever you want. 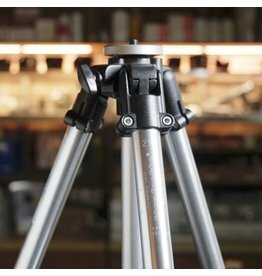 Manfrotto 229 3D Super-Pro tripod head with long-style hex-plate quick release. 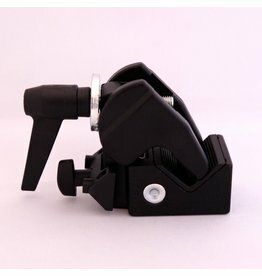 This is an extremely heavy duty three-way head for large cameras and lenses. In excellent working order, with some minor paint wear. 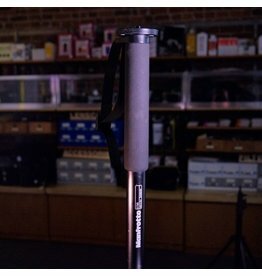 Manfrotto 679B compact monopod in excellent condition. 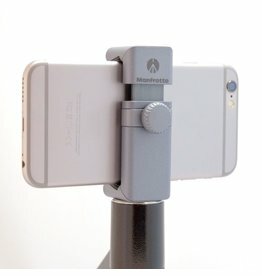 This sturdy monopod extends to about 5 feet. 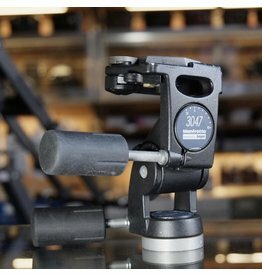 The top plate is broad enough to accommodate a medium-sized tripod head, or to support a larger camera; the fitting is a dual 1/4”-3/8” thread. 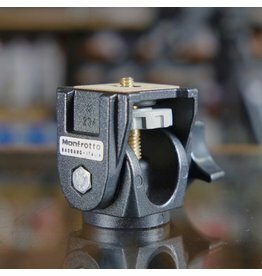 Manfrotto 035 Super Clamp. 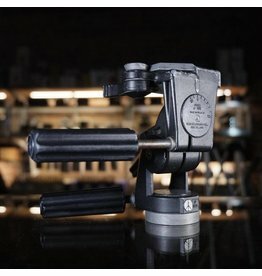 Need something clamped? 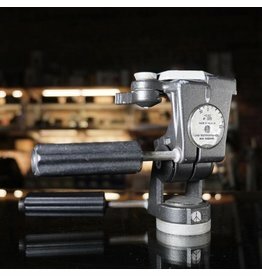 Consider Super Clamping it instead! 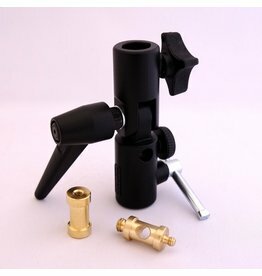 Manfrotto 037 Brass Stud for Super Clamp. Male 1/4" thread on one end, male 3/8" thread on the other. 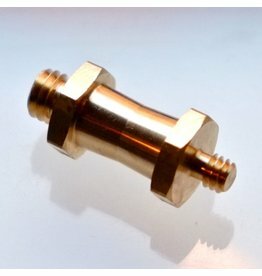 Milled from solid brass. Manfrotto 037 Brass Stud for Super Clamp.